Highly Commended in the Adult Poetry and Drama Section, Holyer an Gof awards, Gorseth Kernow 2009. 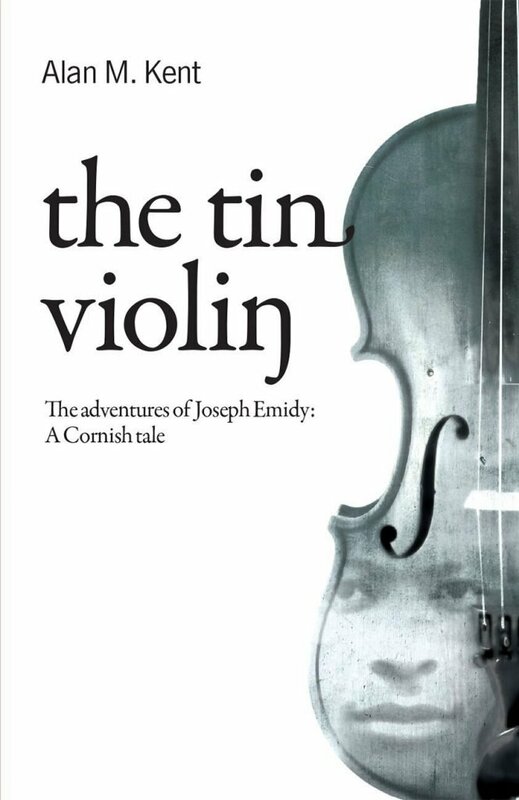 Alan M. Kent’s new play is based on the remarkable life and adventures of Josh Emidy, a slave from the Guinea coast who became an accomplished musician, composer and respected teacher of the violin in Cornwall. From the gold mines of Brazil to the deck of the ’Indefatigable’, where he entertains sailors of the British navy, Emidy meets a host of memorable characters, not least Jabez Pender, the custodian of the magical tin violin. The Tin Violin is a play about endurance, identity and our common humanity. Alan M. Kent was born in St Austell, Cornwall, in 1967. He is a prize-winning poet, novelist and dramatist and author and editor of a number of works on Cornish and Anglo-Cornish literature, including Looking at the Mermaid, a Reader in Cornish Literature 900–1900, two anthologies of Anglo-Cornish poetry, Voices from West Barbary and The Dreamt Sea, and an acclaimed translation of the Cornish Mystery play cycle, The Ordinalia. Two of his other plays are published by Francis Boutle Publishers: Oogly es Sin and Surfing Tommies.